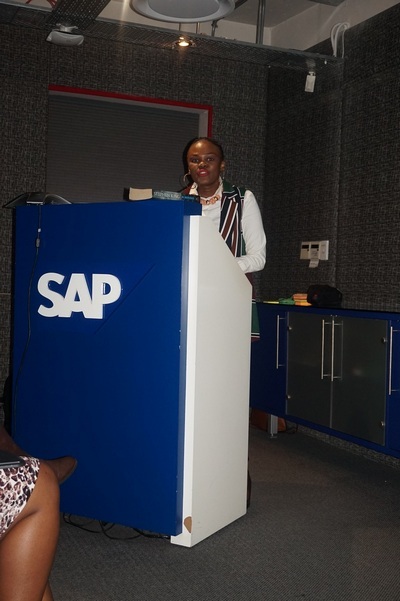 It was a chilly Thursday evening in Johannesburg, South Africa, as we met at the SAP offices to launch the WiBD South African chapter. The committee was overwhelmed with excitement of weeks of planning finally coming to realization. This excitement was accompanied by anxiety. You see, although we had 22 people on our RSVP list, we wondered if they would grace us with their presence. We had two phenomenal speakers scheduled for the launch, with the most interesting topics. This provided us with comfort because we knew that these topics were interesting enough to attract a crowd. There was a decent turnout, about 15 members of the audience to be exact. It is worth mentioning that three members of the audience were men. We all welcomed them as they showed support for the forum and they were interested in the discussion topics. We decided to begin the program at 18h40 sharp, and Naomi Molefe, our chairperson, welcomed everyone to the event. 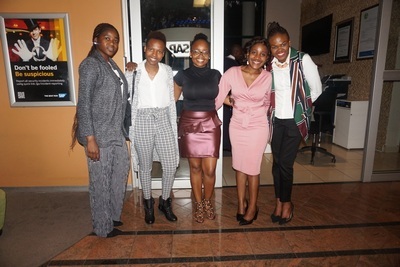 She did a great job of explaining the purpose of the Women in Big Data forum, its inception and the need of such a Forum in South Africa. She went ahead and introduced the rest of the committee as well as our two speakers for the evening: Claudia Fourie and Nomfundo Zulu. 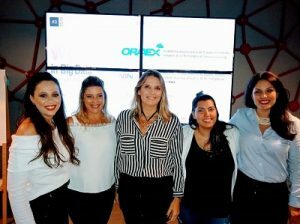 Claudia tackled the topic “The Art of creating new revenue streams with Big Data.” She began her presentation with an illustration of a young woman who got an opportunity to get a good education and vowed to give back to her community. This young lady managed to use data to lead an organization in making decisions that increased profitability. Claudia’s presentation was about Data Monetization. She did a great job of defining the concept and gave practical examples on how Data Monetization is relevant to our society. 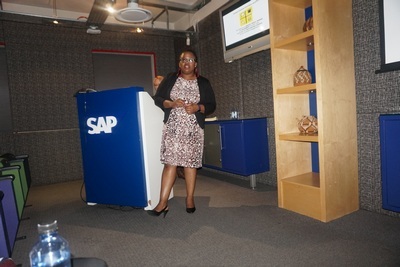 Nomfundo’s turn came and her topic was “What is Big Data Analytics? What does it mean for the consumer?” She discussed how organizations are using what consumers search on the internet to advertise on their social media pages, for example. She ended her presentation with the valuable advice of always going incognito when searching for anything on the internet. After the insightful discussions, Keneilwe Mafatshe, the deputy chairperson, thanked the sponsors, speakers, and members of the audience. 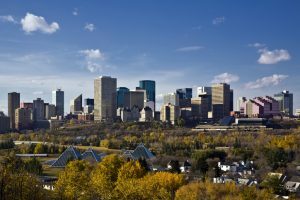 She then invited everyone for refreshments over a networking session before departure. People ate and talked and expressed gratitude over this kind of forum being brought to the country, let alone our continent. Big Data affects us as well. In conclusion, the launch was a success and we have a database of individuals who are interested in future events.